GC Immigration Working Group: Philip Kasinitz, Ph.D.
Philip Kasinitz is currently a Professor of Sociology at the CUNY-Graduate Center where he has chaired the doctoral program in Sociology since 2001. Kasinitz earned his doctorate from New York University in 1987. He specializes in immigration and urban issues particularly as they relate to New York City. He is the author of Caribbean New York for which he won the Thomas and Znaniecki Book Award in 1996. His recent book Inheriting the City: The Children of Immigrants Come of Age won the Eastern Sociological Society’s Mirra Komarovsky Book Award in 2009 and the American Sociological Association's Distinguished Scholarly Book Award in 2010. Kasinitz has been quoted in multiple media venues and his work appears in New York Newsday; Dissent; The Nation; The Wall Street Journal; Lingua Franca, and Telos. 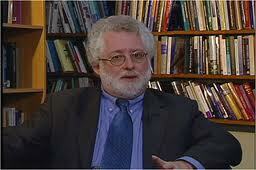 In addition, Kasinitz served as the elected President of the Eastern Sociological Society in 2007. Prior to coming to the CUNY Graduate Center, Kasinitz taught at Williams College. He continues to regularly hold visiting appointments at Princeton University and the Technical University of Berlin. Inheriting the City: The Children of Immigrants Come of Age (with John H. Mollenkopf, Mary C. Waters, and Jennifer Holdaway), Harvard University Press and Russell Sage Foundation Press, 2008. Becoming New Yorkers: Ethnographies of the New Second Generation (co-edited with Mary C. Waters and John H. Mollenkopf), Russell Sage Foundation Press, 2004. The Handbook of International Migration: The American Experience (with Charles Hirschman and Josh Dewind), Russell Sage Foundation, 1999. Metropolis: Center and Symbol of Our Times, London: MacMillan Ltd. and New York University Press, 1995. Caribbean New York: Black Immigrants and the Politics of Race, Cornell University Press, 1992.